One of the quickest campaigns to get going in response to the boundary review was Andrew Gwynne‘s campaign to “Save Denton”. Not that the Commission has recommended splitting Denton, you understand, but I suppose it’s better to be safe than sorry. I’m afraid Denton is split under my counter-proposal, and being a reasonable sort of chap, I’ve had a look at how that might be avoided. The Longdendale (a.k.a. 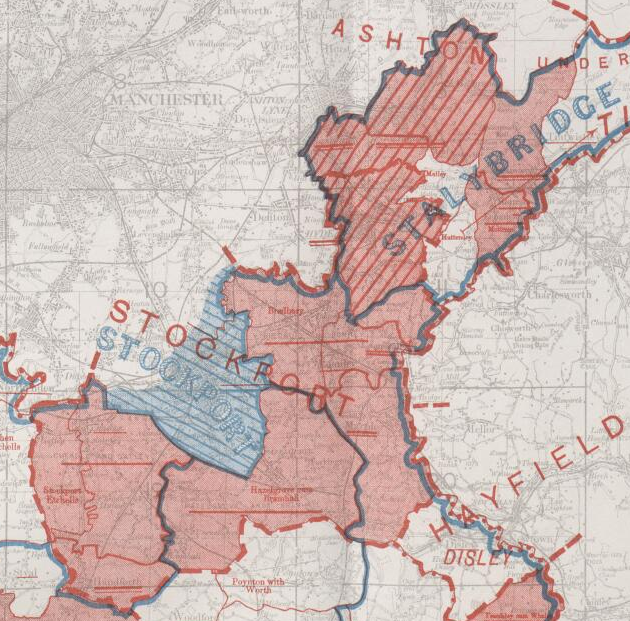 Stalybridge) seat includes Marple, whilst Bredbury, Romiley and High Lane are in the Stockport East seat.